The classic peanut butter sandwich just got a makeover. 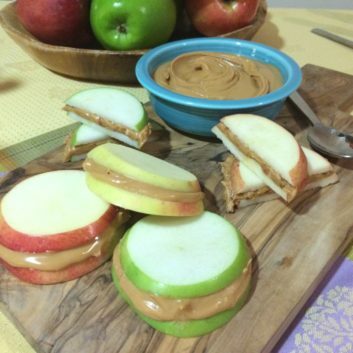 I spread creamy peanut butter directly on freshly sliced apple wedges for a yummy breakfast or afternoon snack. Just call it PB&A! Spread peanut butter over half of the wedges. Place the remaining apple wedges on top to make sandwiches. For more peanut butter recipes, try my PB-Banana Sushi and Peanut Butter-Stuffed Strawberries!